The Indian subcontinent has had its share of earthquakes. From mild, to moderate and to devastating ones, Earthquakes happen every year in India. One of the reasons why this happens is because there is a tectonic shift of the Indian plate at a rate of forty seven millimeters a year. 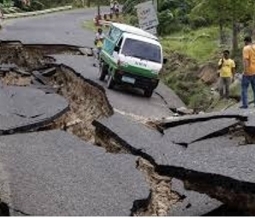 As per geologists, more than half the land mass of the Indian subcontinent is prone to Earthquakes. The following are the top ten cities where the probability of an Earthquake happening is more. Hi ! Gone through the instruction for prevention for buildings from Earth quake. It is indeed informative & welcome thoughts , but he our goverment really wants to follow the guide line or implement with proper force . I don't think so . I have a very big question on that . Neither government nor our citizen (mostly ) have any kinds of thoughts on how safe our buildings are . Whether it's fire safety or structural condition we never give a thought . We are only attracted by the adversiment this builders are giving & we don't give much time to see before taking delivery of the flat that if what ever promise is made during the promotion of the flats that has been fulfilled or not & again if it is showed that all clearance is taken from the appropriate authorities that also not much dependable as these are all temporary clearance & how much these authorities have genuinely inspected these essential grounds before giving all clearance. So jago grahak jago . We will get only those people in the chairs as we are.